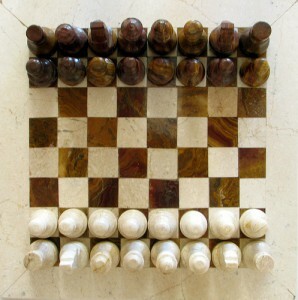 Consider a 5×5 chess board. Is it possible to place five queens on the board such that three pawns can safely be placed on the board? In other words, by carefully choosing where to place the five queens, can you arrange it so that there are three squares on the board that none of the queens can attack?